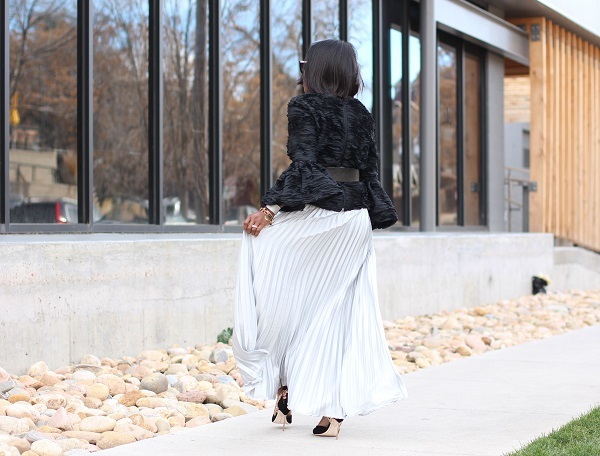 Sharing a fun whimsical look with you today of this bell sleeve top and maxi pleated skirt. There’s no secret to the fact that I love looks with a bit of drama, but I’m also toying around with a few other silhouettes and textures lately which makes me quite happy. Fashion is about experimenting as much as it is about staying true to what works for you and your frame; though I take a few risk here and there I tend to come back to silhouettes which hold dear to my heart. 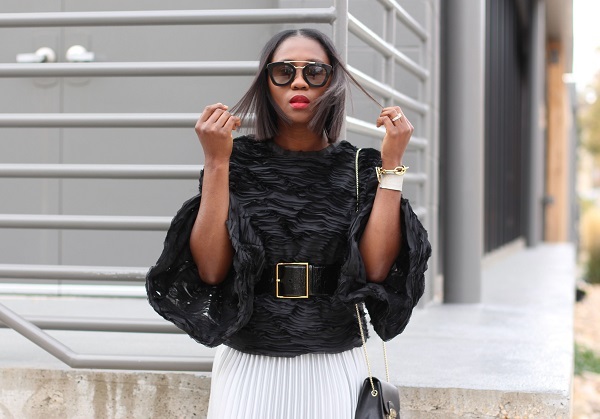 This bell sleeve top, which can be worn as a top or jacket consists of the perfect airy horizontal pleats, pairing it over this vertical pleated skirt was a seamless fit. I also love the volume provided on the sleeves of the top, a great statement though the top is relatively simple. Another holiday inspired look checked off the list.